This treat is like a supercharged mint hot chocolate! It incorporates all the delicious flavors of the season with the added bonus of ultimate relaxation. Sip and savor this warm cocktail on a cold winter night. 1. Build ingredients in order in a heat-proof mug. 2. Top with whipped cream and a cherry (optional). It wouldn’t be holiday time without a little eggnog! 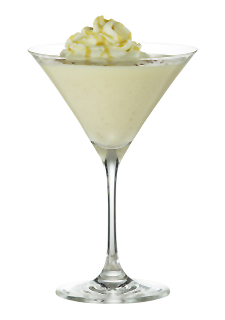 This festive martini melds butterscotch goodness, whipped cream taste, and traditional eggnog for a rich treat your guests will love. 1. Add ingredients to an ice-filled shaker. 3. 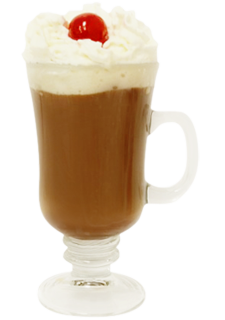 Garnish with whipped cream and cinnamon. The Blue Sparkle tastes just as good as it looks! 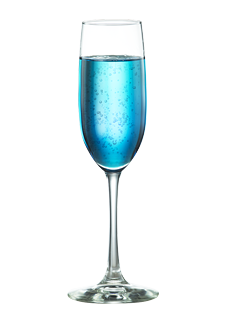 This bubbly cocktail is perfect for a holiday cocktail or your standard girls’ night out. I will be drinking one of these when the clock strikes midnight on New Year’s Eve! 1. Pour liqueur and vodka into champagne glass. 2. Top with chilled champagne. Now, do you want to know an even easier (but still awesome!) way to incorporate some DeKuyper fun into your holidays? 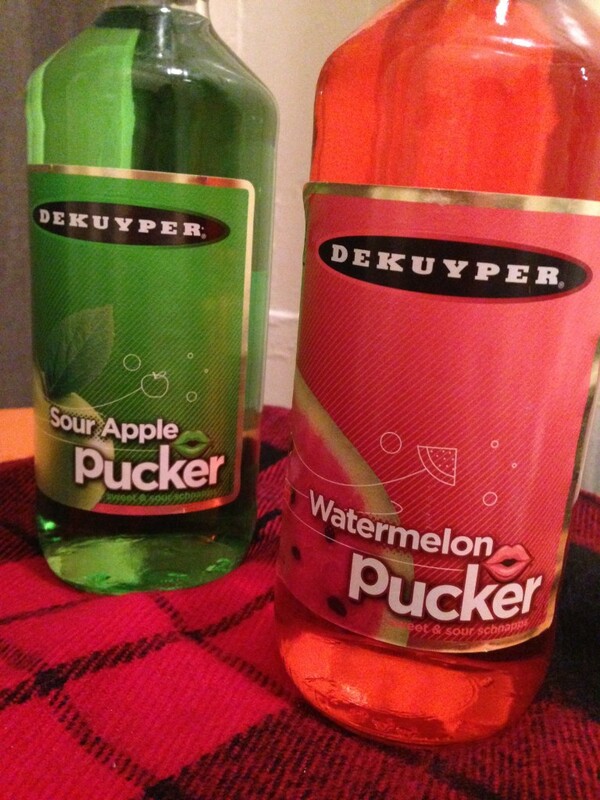 Grab a bottle of two of my absolute favorites (DeKuyper Sour Apple and DeKuyper Watermelon) for an automatically festive cocktail situation – especially at Christmastime! Confession: I like these enough to sip straight with no other mixers. This festive color combo will wow your guests whether you put them together in martini glasses… or just pour a handful of Christmas colored shots! 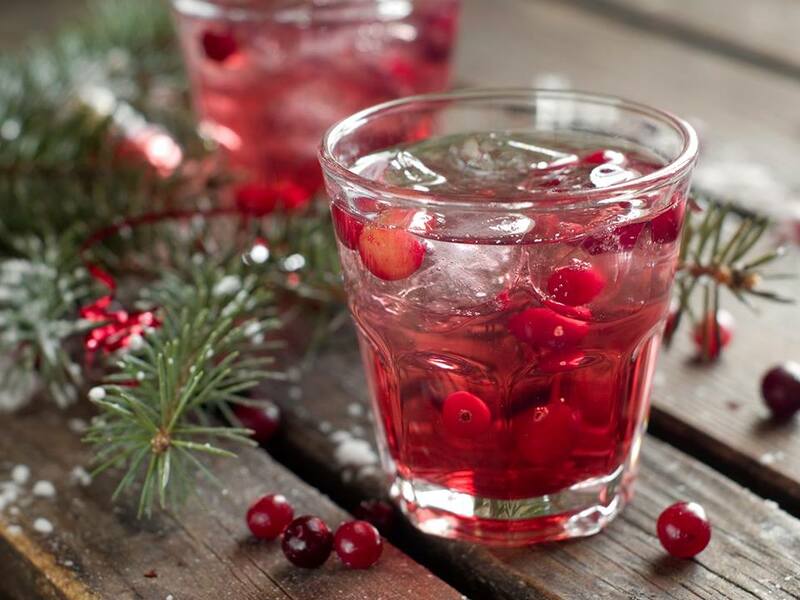 Be sure to follow DeKuyper on Facebook and Pinterest for more even more holiday cocktail inspiration. Cheers!